Sail Buddy is a light-weight sailing app designed to do a few things well. When it comes to sailing I’m mostly a day sailer or a cruiser. 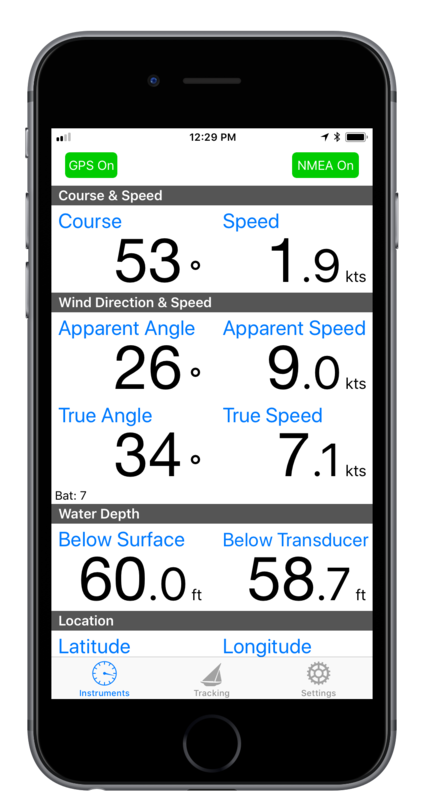 I wanted a light-weight app that would show course, speed, and wind data from my SailTimer wind instrument without a lot of fuss, and without tripping around other features which 90% of the time I don’t use or want. Sail Buddy is not a navigation app. There are many other apps that are better at navigation than Sail Buddy could ever be. No sense reinventing the wheel. Saved trips can be transferred between iOS devices that support AirDrop. 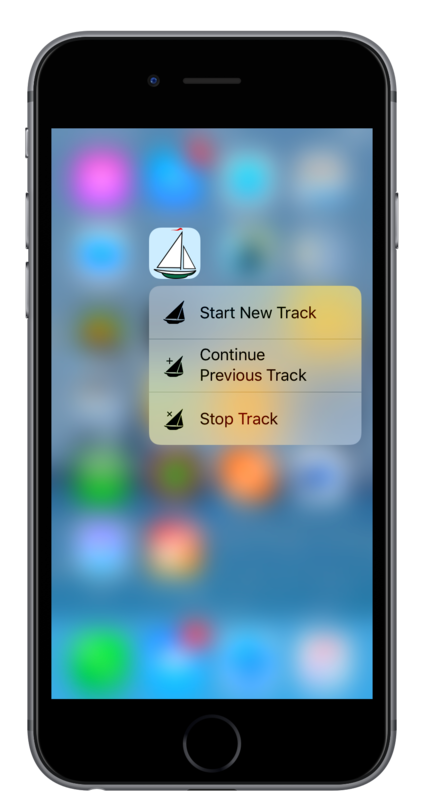 Click the Share icon and choose “JSON (native)” format to transfer the trip to Sail Buddy running on a different device. This feature is nice for sharing trips with a friend, or viewing a trip on an iPad or larger display. This is early software with lots of room for new ideas. I am very interested in making it more useful so long as I can keep it fast and light. If you have ideas or are experiencing issues, please contact me. WiFi-based hardware such as the Brookhouse iMux multiplexer, the SailTimer AirLink or the SailTimer wind vane (discontinued in 2013) create their own WiFi networks. The SailTimer wind instrument connects directly to your iPhone via Bluetooth using a custom app. 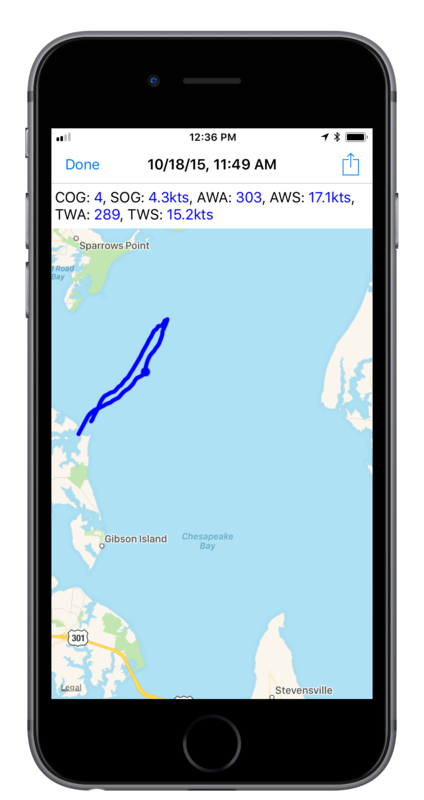 GPS sentences such as $GPGGA are not directly supported since Sail Buddy gets GPS information directly from the Location Services built into your iOS device. If your device is not supported, please contact me and we can try to work something out. Note: NMEA mode works best if GPS mode is also enabled. Otherwise, data may not be monitored correctly if the app is running in the background. Also be sure to enable “Background Location Services” in your iOS settings. 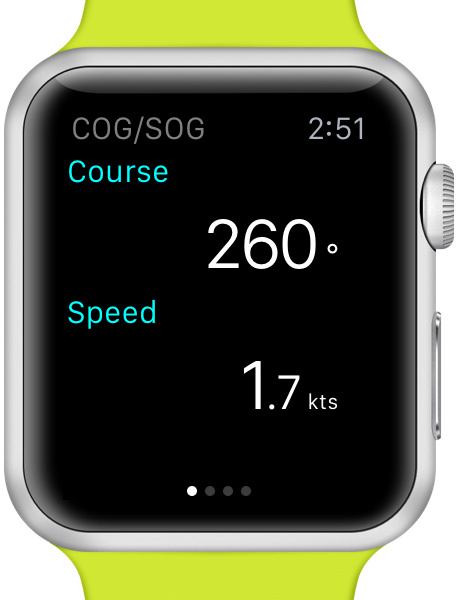 Sail Buddy for Apple Watch displays the same information as the iOS app. Swipe left or right to switch between information types. 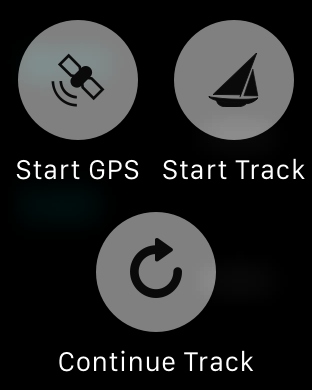 You can also control Sail Buddy via the watch, for instance, start/stop route tracking. Force-press the display to access the menu. Some devices transmit wind data relative to compass north, while others trasmit relative to your current heading. An option in the Settings tab lets you specify which reference point to use, and uses your current heading to convert one to the other if necessary. But if you’re not moving, Sail Buddy can’t make this calculation. To correct for this, your boat should be moving, or you should change the option in Settings to match the native data sent by your device. All personal information collected by Sail Buddy, including your location and any metadata you enter yourself, is only stored on your iOS device Sail Buddy does not interact with a data server and does not access or store information remotely.